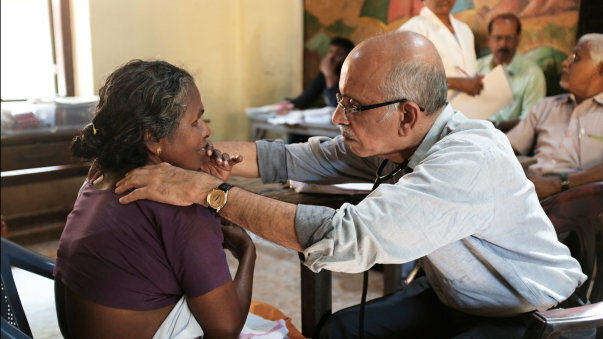 Doctor Rajagopal offers palliative care services free of cost to the needy, treating the terminally ill and helping their families at the remotest parts of Kerala. 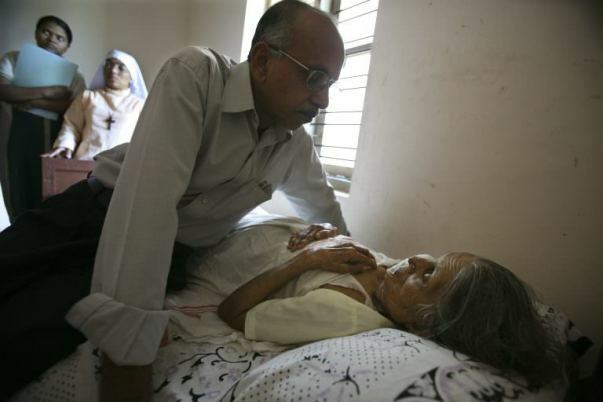 M.R Rajagopal ‘ The father of palliative care in India’ experienced a life-defining moment at a very young age when he was studying medicine when and his neighbour was diagnosed with cancer. In 1993, driven by the desire to provide palliative care to the needy, the doctor started the Pain and Palliative Care Society. In one short year, the Society developed a full-fledged home visit programme with trained doctors making their way to bed-ridden patients, often in far-flung rural areas and sometimes in neighbourhoods in their own cities. 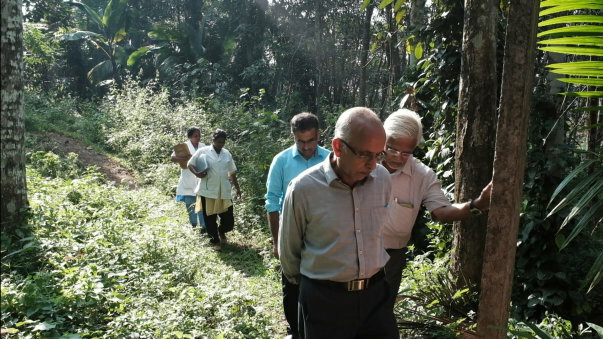 Since then, for the past 25 years, Rajagopal has impacted the lives of thousands of people with life-threatening diseases at the remotest parts of Kerala. "It’s difficult for us to reach them but imagine how difficult it will be for them to reach us. It is impossible, they will die agonising deaths if we don’t take the effort to reach them." In a bid to curb the destructive effects of the disease on patients and their families, the organisation offers patients free treatment as well as free medicines. For families who are struggling to put food on the table, food packets are provided. The education of the kids in the suffering families is also taken up by his organisation. 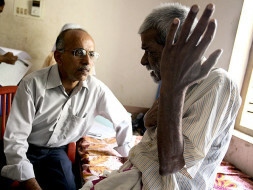 Rajagopal offers complete care to the families of the affected. "We work only on donations. To continue our work with the families and to stop their suffering we need money. With your kind help, we will be able to save lives, educate children and prevent these families from being destroyed." Thank you for the support. At Trivandrum, Pallium India sees more than 2000 new patients every year, more than half of them having advanced cancer and the others with a variety of serious health issues causing suffering. Our objective is to improve the quality of life of the patients and their families. 4 to 5 teams go out every day making home visits to people who are bed-bound. An inpatient unit caters to people who cannot stay at home anymore. A halfway home houses people with paralysis, providing physical, mental and social rehabilitation and empowering them to be contributing members of the society. 82% of our patients have been financially destroyed by catastrophic health expenditure. Our services are free to them including free medicines and sometimes more. We provide food kits to more than 75 families to make sure that they do not starve. We educate around 300 children of these families so that the financial difficulty does not result in the denial of education to them. And once we start giving support for education, we make sure that it is continued till their education is complete. Palliative care, both the science and art of it, needs to be taught to doctors, nurses, and others from all over the country. We run courses. Around 200 doctors and a larger number of nurses undergo our courses lasting from 10 days to 6 weeks. We work in 20 states in India. We don’t set up branches there; we work with local champions and institutions building their capacity to start palliative care services. All these services cost money. In spite of the fact that more than a hundred volunteers contribute their time and effort free, we still need around 65 staff members to keep the services going all over the country. Generous donations from the public keep us going. In the current year, we find ourselves with a shortfall of about 10 lakhs. Thank you for contributing what you could. It goes towards making up for the shortfall. What you did takes away a lot of pain and brings many a smile to many a face.